Two photos taken in Smallhythe, Kent, by Rysz Bartkowiak during the making of Time Team Episode 6, Series 6 (1999), where Time Team were looking for a 15th-century dock next to the River Rother, one of a number of episodes with MoLAS involvement. Rysz assisted Damian with his carpentry and kindly passed me the photos shortly afterwards. 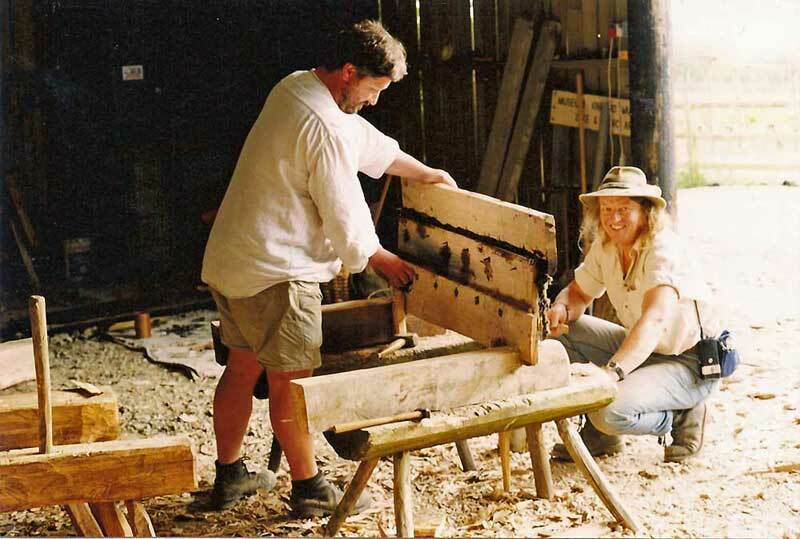 Damian Goodburn making a replica section of a clinker-built hull for the programme with the help of ancient tools (and no, I don't mean Phil Harding). 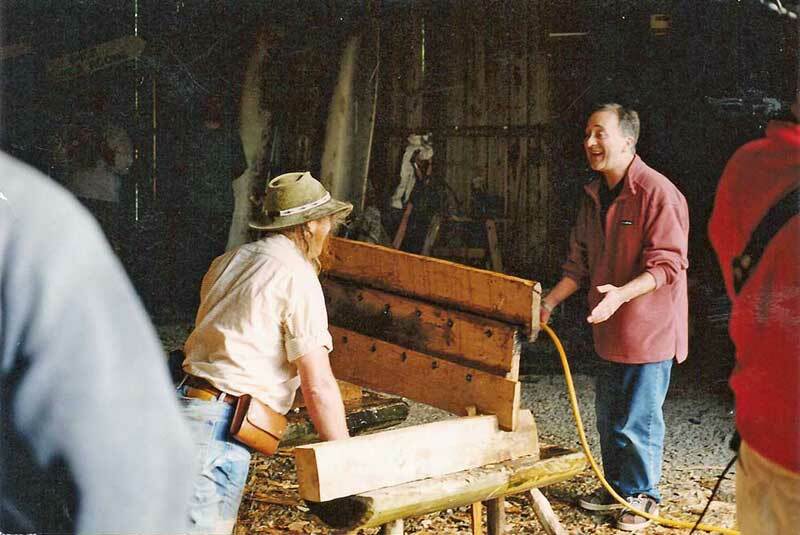 Phil Harding and Tony Robinson (aka Baldric) testing the completed hull section for watertightness, using a hosepipe. I recall it worked, but Baldric's aim wasn't so good...surely a peak moment in experimental archaeology. ‘Gladiatrix’: or hands up, who threw that banana skin into the arena?